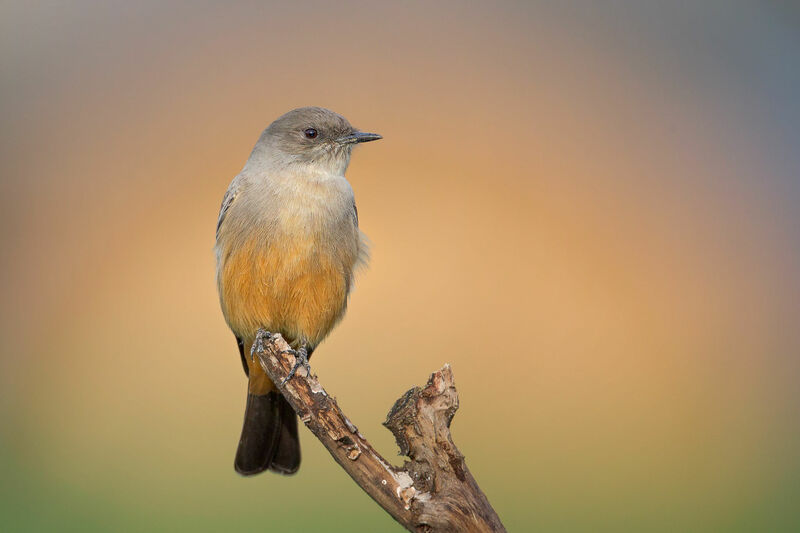 The Say’s phoebe (Sayornis saya) is a passerine bird in the tyrant flycatcher family. 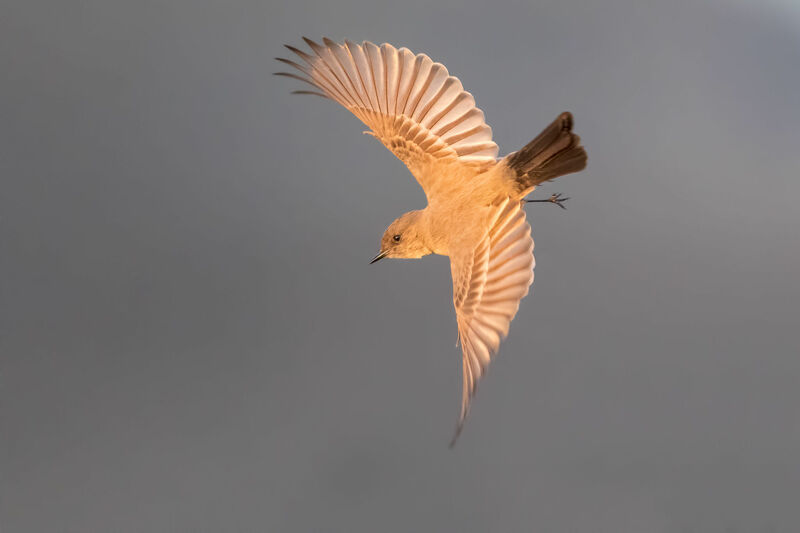 A common bird in the western United States. It prefers dry, desolate areas. 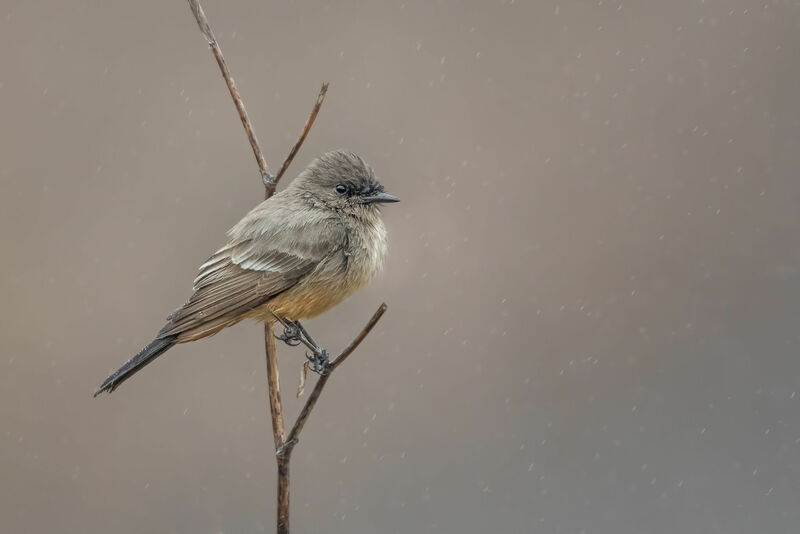 This bird was named for Thomas Say, the American naturalist. 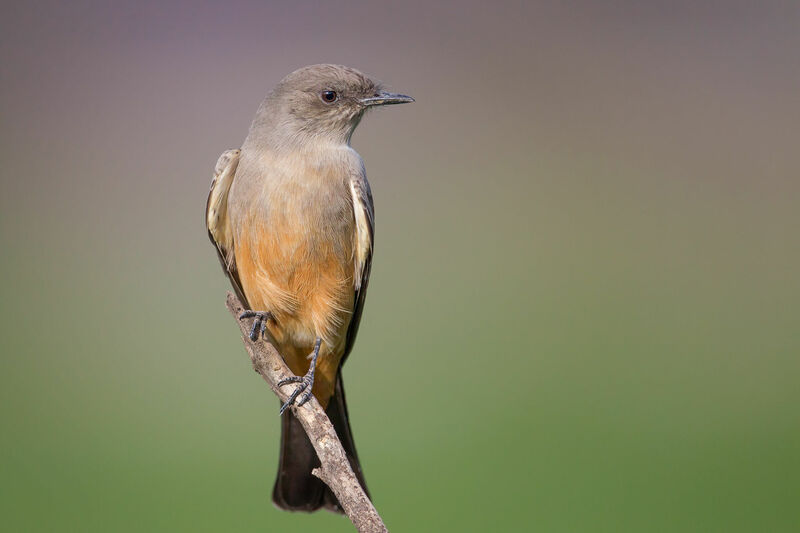 The adult Say’s phoebe is a drab, chunky bird. It is gray-brown above with a black tail and buffy cinnamon below, becoming more orange around the vent. 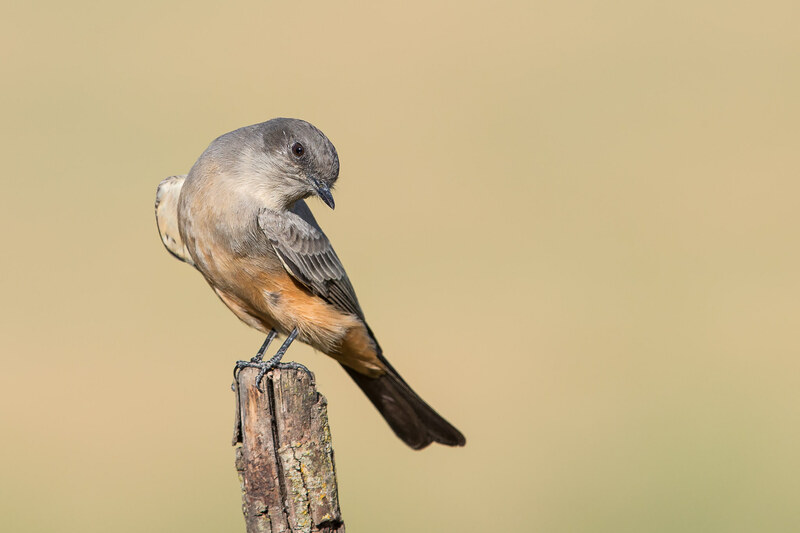 The tail is long and the primaries end just past the rump on resting birds. 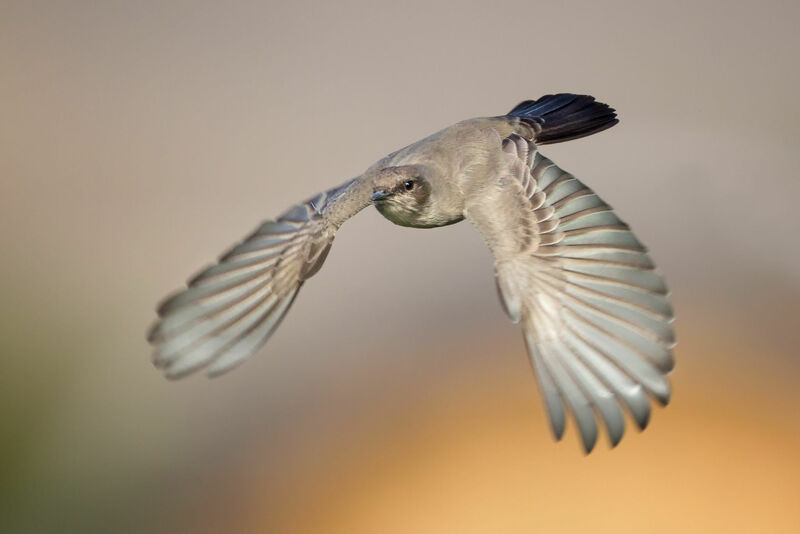 The wings seem pale in flight and resemble a female mountain bluebird. 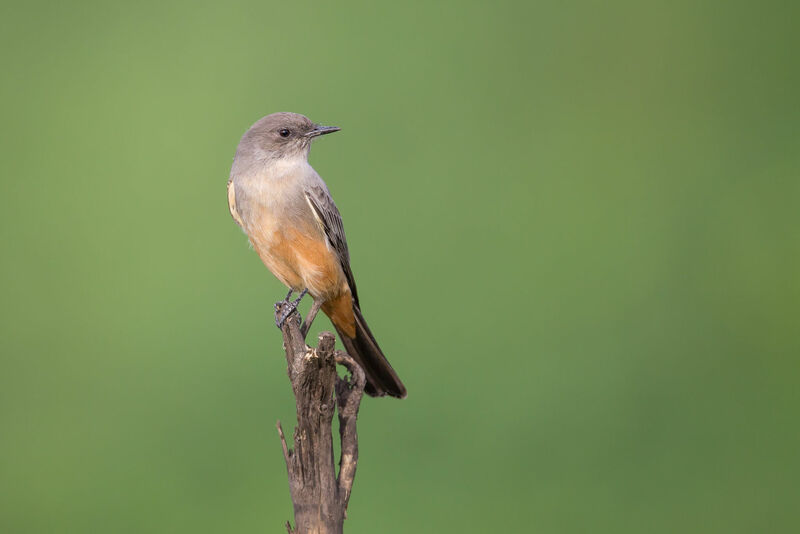 The juvenile is similar to adult, but has buffy orange to whitish wingbars and a yellow gape. Adult birds are 7.5 in (19 cm) long. They have a 13 in (33 cm) wingspan and they weigh 0.75 oz (21 g). 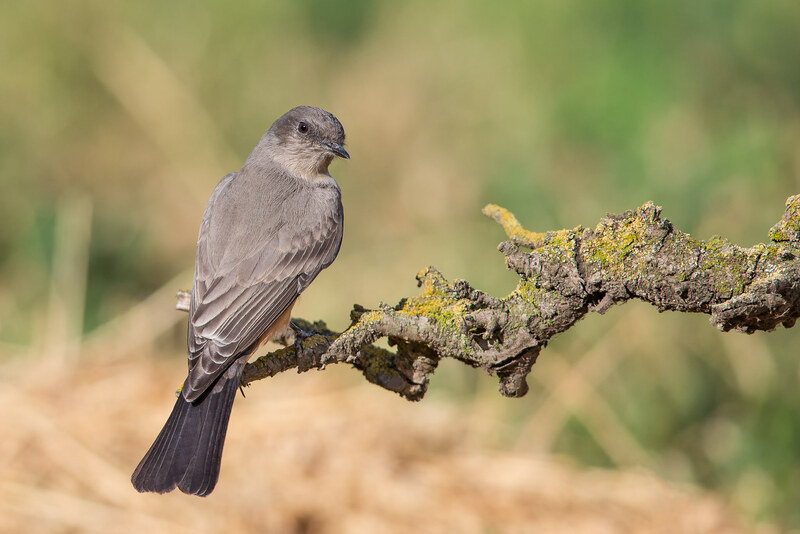 Say’s phoebes nest in typical phoebe fashion. 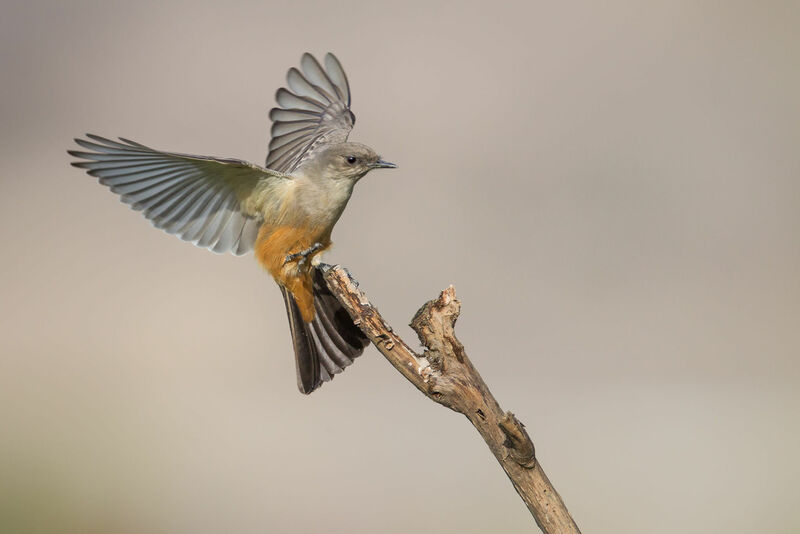 They attach their nests under bridges, canyon walls, wells and abandoned mine shafts. The nest is made by the female and is cup-shaped. It is made of grass, forbs, moss and plant fibers lined with hair and other fine materials. She lays three to seven, but usually four or five, white, mostly unmarked, eggs. Some have red spots. The eggs are roughly 0.8 in (20 mm).